The site is located in Renai Township, a mountain indigenous village in Nantou County, Taiwan. It is famous for its aboriginal culture products and beautiful nature scenery. 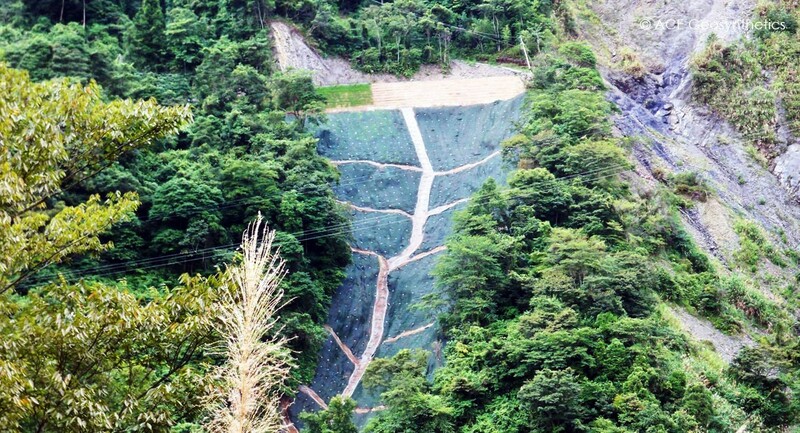 The slope disrupted during an attack of torrential rainfall due to its poor geological and hydrological conditions. 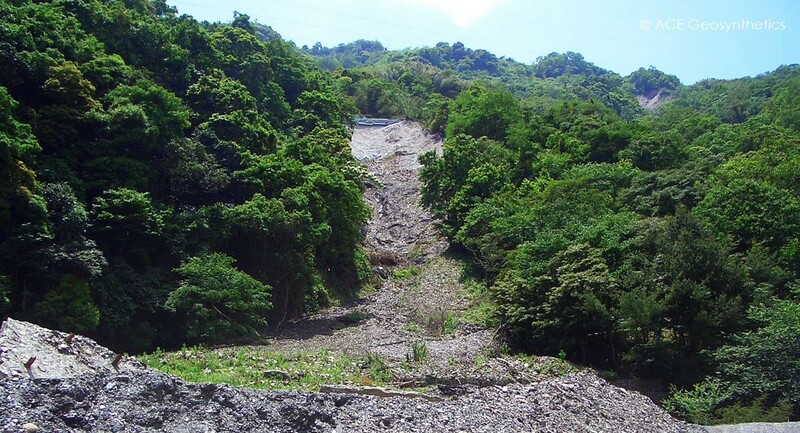 The slope was damaged seriously with a collapsed depth over 30m and led to a total loss of the road structures and thereafter the interruption for the local traffic. The designer introduced a composite engineering system for the rehabilitation. First, a reinforced concrete mat foundation with steel H toe piles were installed as base support. Then, a mechanics stabilized earth wall (MSEW), 5 m in height and 6 m in width, was built to serve as the embankment for the access road. 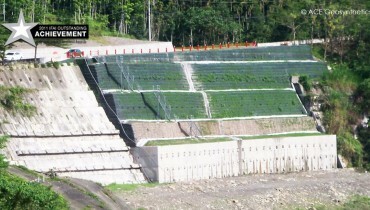 The MSEW was constructed in compacted layers which consisted of in-situ soils and ACEGrid® geogrid. They were piled up with 0.5 m increments until reaching the design height. Stacked soil-filled sacks with geogrid wrap-around facing were used for face protection. 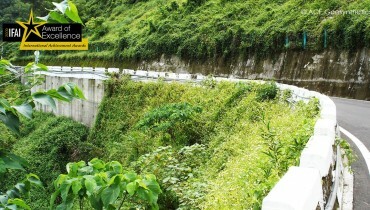 A step back inclined ratio of 1:0.3 (V:H) was maintained to allow for the most possible width of the access road. Drainage boards and geotextiles were arranged within the MSEW as intercept system for prompt seepage dissipation. 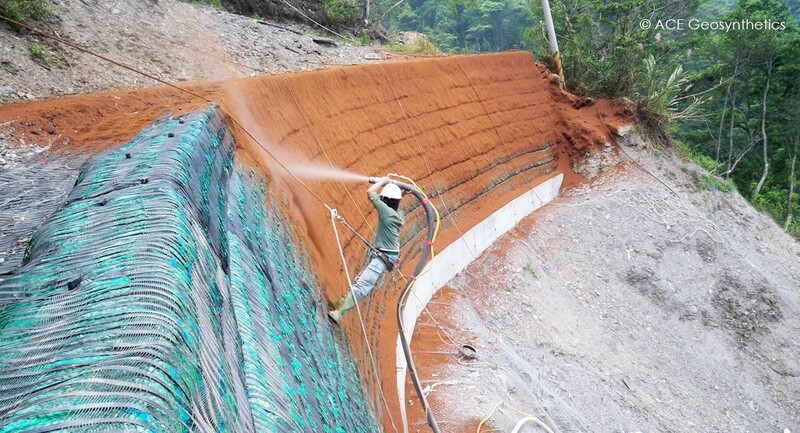 For protecting damaged slope such as slopes below the MSEW, traditional solutions such as shotcrete or cross concrete structural bars are commonly applied. However, these rigid structures with impermeable and grey surface degrade the ecological environment nearby. Thus ACEMat™ R high performance turf reinforcement mat (HPTRM), a 3D cellular confinement material, was chosen to be the solution for the downslope protection. 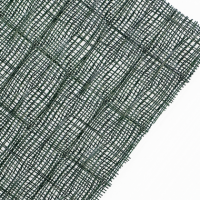 The ACEMat™ R was secured onto the bare slop with rock nails and steel wire meshes, and then a base layer consisted of mixed seeds, fertilizer, and water-bearing material was hydro-sprayed on top of the wire mesh networks. Lastly, longitudinal and horizontal trench systems also were installed to facilitate the drainage of surface run off. 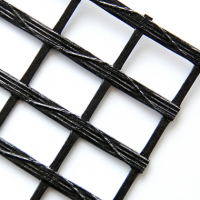 ACEMat™ R offers sufficient spaces for vegetation to grow. It is also attractive for a variety of local species to stay. 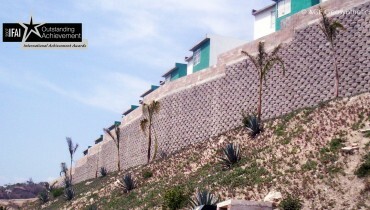 The eco-system not only provided stabilization for the fractured slope but also improved the appearance of the site. 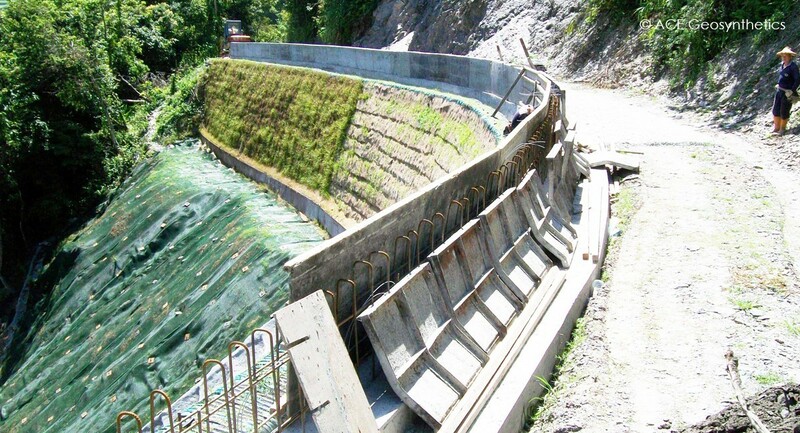 Since the completion of the project, the composite system has been through a number of typhoons and severe rainfalls, however, the installed system stays functional and the slope presents sufficient stability. The strategy of using turf reinforcement mats to substitute traditional grey structures has awarded numerous compliments because of the success of this project.